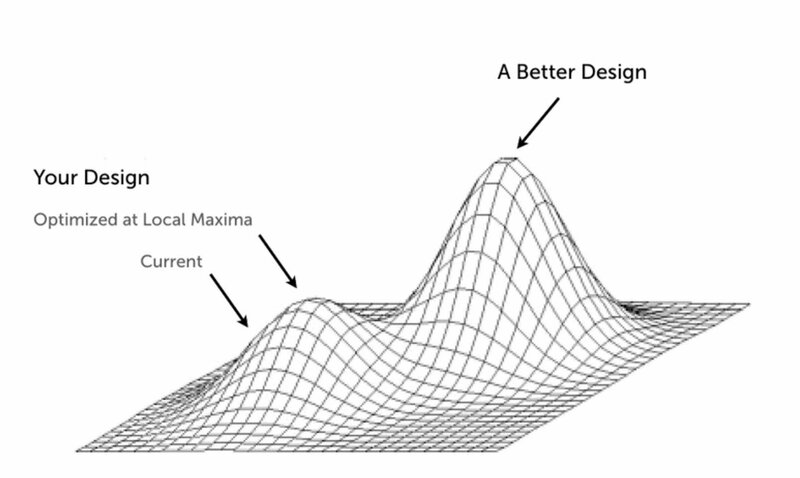 The local maximum in conversion rate optimisation occurs when your evolutionary optimisation efforts experience diminishing returns with experiments and other efforts to improve conversion. Despite your best attempts at trying to improve your success metric with small changes and iterative testing you find it almost impossible to get significantly beyond the peak conversion rate you have reached. When conversion rate optimisation is used as a tactical solution to achieve short-term gains in your success metric this will limit your ability to make large gains. CRO needs to be implemented as a strategy for growth within the organisation as a whole. This requires a cultural change to encourage experimentation, evidence based decision making and the implementation of a structured approach to testing and optimisation. Without such a strategy you are likely to run out of steam fairly quickly. Confirmation bias refers to our tendency to look for information or ideas that support our existing beliefs about what needs changing and ignore evidence that contradicts our opinions. This automatically limits testing and changes to the areas we personally believe need fixing. To avoid this it is important to try and be open-minded about where problems may occur and encourage input from many different areas in the business. Following a structured approach to website optimisation also helps avoid a too narrow focus on your existing beliefs. Anchoring relates to how our decisions are heavily influenced by the information we first see before examining an issue. We can be psychologically constrained and become obsessed with testing small changes, such as buttons and hero images, and forget about the page design as a whole. How do you get past a local maximum? Innovation tests require you to develop a completely radical new design for a screen or user journey. This involves using research and analysis of what you know about the user experience to create a completely new design for testing. This provides you with the opportunity to break-away from the constraints that may have been holding you back and hopefully leap-frog to a new higher conversion rate. 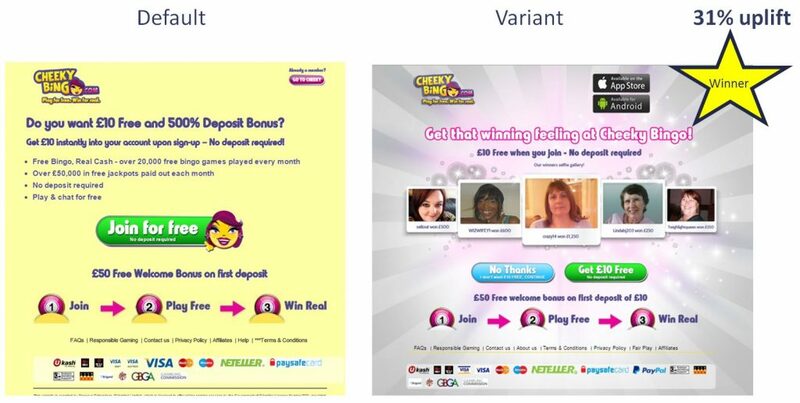 Here is an example of an innovation test I conducted on Cheekybingo.com. All new visitors to the homepage were served a splash page to encourage prospects to register for a new account. By creating a totally new splash page with much stronger social proof and a single proposition message I achieved a 31% uplift in new registrations. A totally new website can sometimes be needed because of the constraints of the existing website. This is particularly the case where technology is outdated, the information architecture is not fit for purpose and there is a very low conversion rate across the whole site. 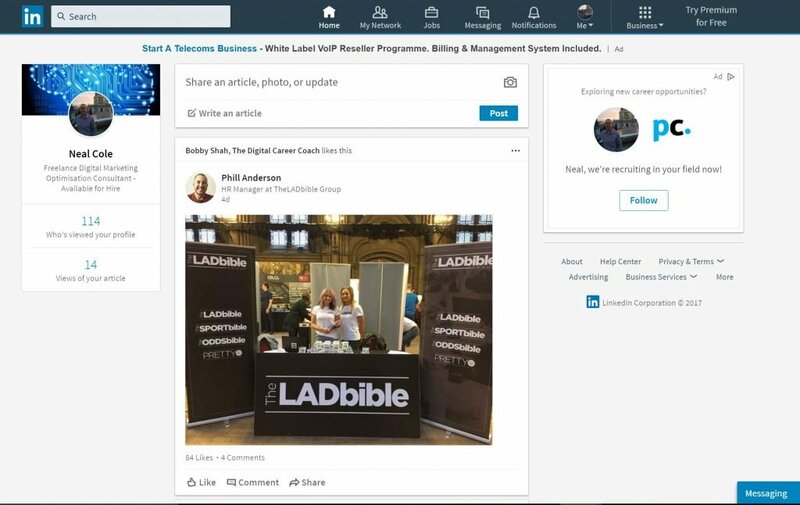 However, as the new LinkedIn site launched in 2017 indicates this can be an extremely risky move. It is best avoided if possible by following an evolutionary approach to website design and development. If you do decide to go down this road it requires extensive research and analysis to ensure decisions are based upon evidence rather than subjective opinions. Avoid design by committee and encourage a collaborative approach with optimisers and UX designers working closely together. Conduct usability testing at each step of development and if possible test some of your designs against your existing site. When you hit a local maximum it can be very frustrating. However, in many instances we are constrained psychologically to think we have reached a major barrier to improving the conversion rate. In reality though a strategic approach to conversion rate optimisation can help us break away from a local maximum and aim for the global maximum. Amazon for example achieved this with Amazon Prime as they now convert 74% of time with Prime compared to the 3.1% e-commerce average. Optimisation strategy – The growth strategy that is being ignored. CRO – What is conversion rate optimisation?